So, here I am, going back to the roaring twenties again. I know, you're probably all sick of it by now, but there's something about the time period that I am inexorably drawn to. Bright Young Things follows three young women trying to find their way in New York in 1929. There's Letty Larkspur, fresh off the train from Ohio and desperate to leave her old life behind by chasing her dream of being a famous singer. Cordelia Grey, who travelled down from Ohio with Letty, is looking for her long-lost bootlegger father and finds herself falling for the one boy he wants her to stay away from. And finally, there's Astrid Donal, a young flapper trying to navigate high society and her complicated feelings for her boyfriend, Charlie Grey. After Das Boot, I needed something lighter and this may have been just about the perfect choice. 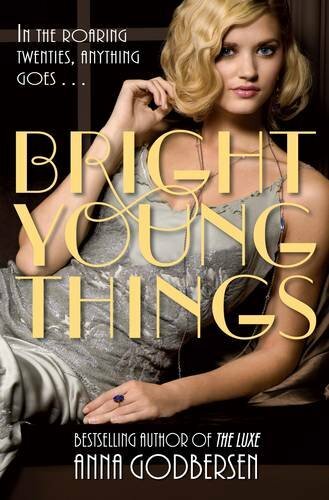 Bright Young Things encapsulates just about everything that I want when I pick up a novel about 1920s America. There's a nice balance between the hard graft and sleaziness of your average working girl, and the backstabbing glamour of the upper classes. The emphasis on the bootlegging is a nice touch, as the presence of alcohol despite Prohibition is generally glossed over in novels that I've picked up previously. I also like that not all of the main girls want to be famous in some capacity. It's frustrating, I want to be more specific, but I like the book too much for my thoughts to coalesce right. I'm just really glad that I picked up Bright Young Things and I would be more than happy to pick up the next installment of the series.